Dave Murphy, Executive Director and founder of Food Democracy Now, explains the ultimate outcome. The stats on the prevailing position of this threat, compiled in U.S. and Monsanto Dominate Global Market for GM Seeds, are alarming. If that is not enough, the video The World According to Monsanto along with the Documentary, provides the evidence that has long gone ignored. America lives in the dark ages when it comes to ingesting the poison from GMO designer crops. 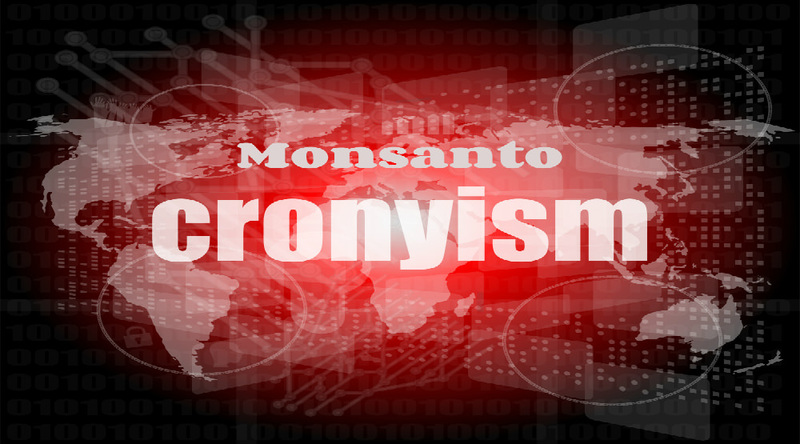 Ellen Brown provides the proof in,Monsanto, the TPP and Global Food Dominance. Collusion among the courts, regulators, agency administrators, lobbyists (Monsanto Hires Former Sen. Blanche Lincoln As Lobbyist), politicians and the free trade interests, to facilitate the adoption of a biological genetic frankenstein diet is evident in, Why Monsanto Always Wins by Mike Ludwig. How many times will the merger of corporatist influence with governmental cooperation put the public at risk, before this insidious process is recognized as systemic corruption? Whatever else you think of former Congressman Dennis Kucinich, he has the guts to confront “The Influence And Corruption Of The Political Process By Monsanto“, in a hard hitting video. No wonder he was gerrymandered out of office. Ms. Brown continues and injects political influence into the equation that will virtually guarantee Monsanto’s profits as they feed poisonous food to the consumer. “The chief agricultural negotiator for the US is the former Monsanto lobbyist, Islam Siddique. If ratified the TPP would impose punishing regulations that give multinational corporations unprecedented right to demand taxpayer compensation for policies that corporations deem a barrier to their profits. The fraud perpetrated in The Seeds Of Suicide: How Monsanto Destroys Farming, is an affront to the Creator, even his children are blind to the consequences of designing seeds that require a license to plant. The article, Genetic Modified Foods – Senate Bill S510, examines the highest of all stakes. F. William Engdahl in an interview with RT, ‘Monsanto is the metaphor for genetic manipulation, food chain control’, nicely sums up the complicity in creating a NWO food supply. RT: Why is the US government so keen to protect the interests of Monsanto? WE: I think this is the strategic interest of the US agribusiness lobby, the lobby of Bush senior as president in 1992. Monsanto went to the White House and had a closed-door meeting with Bush, and got him to agree to make sure there are no government tests whatsoever on the health and safety of GMO products before they were released to the commercial public. That was called the doctrine of ‘substantial equivalence’– it’s a fraudulent doctrine if you just analyze the name, it’s by no means scientifically rigorous. The Globalist objective to reduce the earthly population coincides with Monsanto’s strategy to strangle the food supply. The world their‘substantial equivalence’ envisions has no equality among humans. The roundup has begun and the survivors will be few.